This is the first article in a two-part series on how to find help for anxiety. 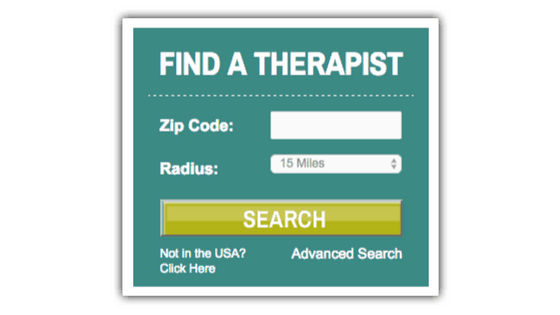 In part 1, we show you the best websites for finding anxiety specialists and experts. In part 2, we'll explain when you need a Psychiatrist or a Psychologist (and other professionals). The Anxiety & Depression Association of America (ADAA) is one of the best websites to find anxiety experts. 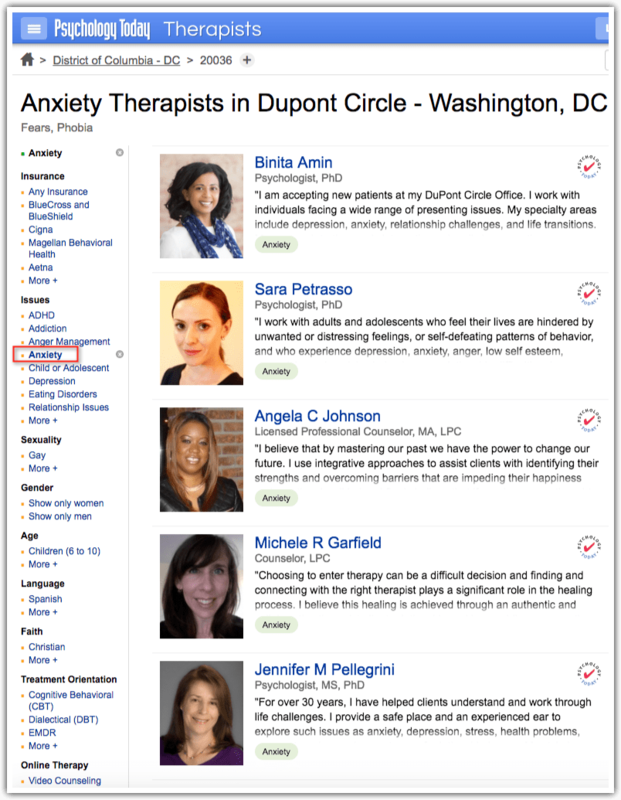 Many internationally renowned anxiety experts are members of ADAA. 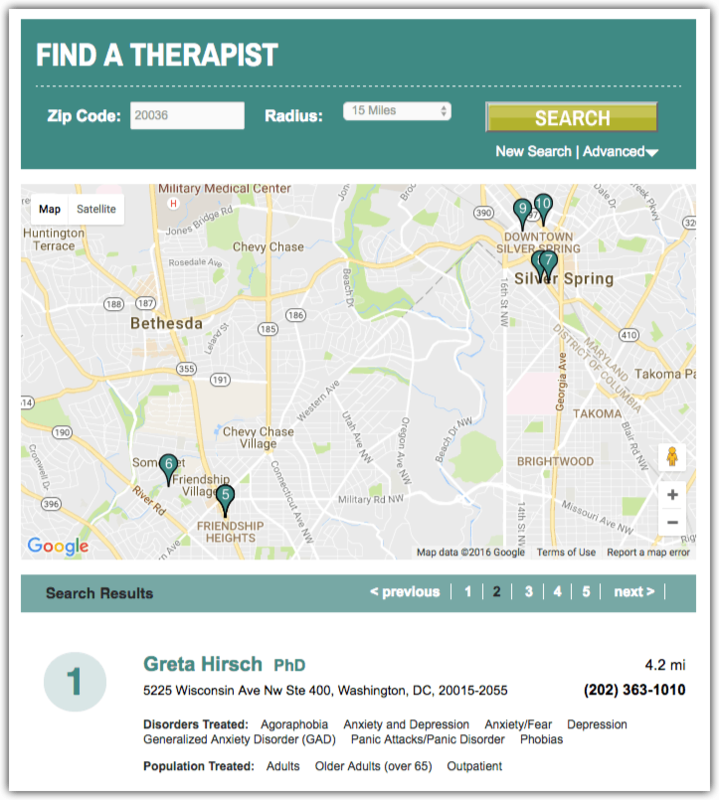 The "Find A Therapist" app is a directory of ADAA members who have chosen to be listed there. 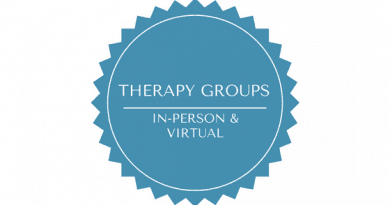 You'll find Psychiatrists, Psychologists, Neuroscientists, and many other anxiety specialists. 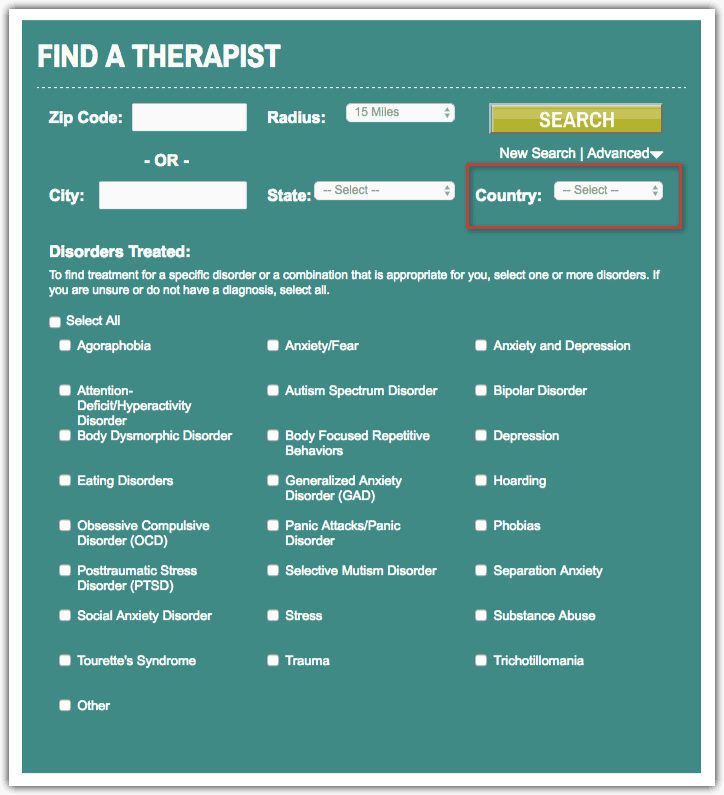 You can search for help in the US or worldwide by selecting from a list of countries. 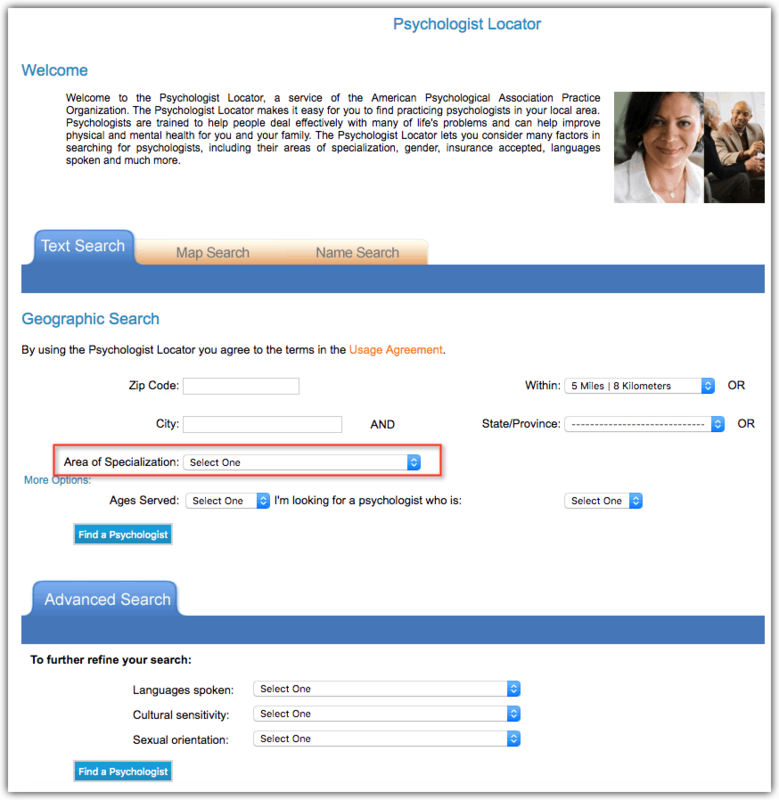 Use the APA website to search for Psychologists. Select "Anxiety/Panic Disorders" in the "Area of Specialization" drop down menu. Most of the professionals in this directory have doctorates (Ph.D. or Psy.D.) and are highly trained therapists. Once you search by your location, you can narrow your results by clicking "Anxiety" in the left column (see second screen below). Look carefully at credentials and education! Those with PhD's or PsyD's are highly trained professionals with doctorates. Note that there are very good therapists with less education, but just be aware that they have less training. Cognitive-Behavioral Therapy (CBT) has been shown to be the most effective treatment for anxiety disorders. 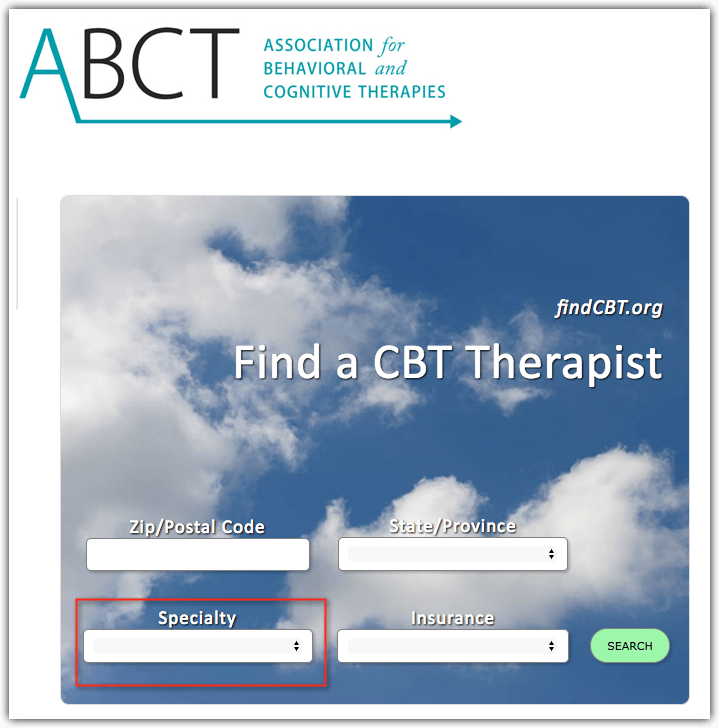 Using the ABCT directory is a good way to find professionals that specializes in anxiety and CBT. Select "Anxiety" in the "Specialty" drop down menu (as shown below). 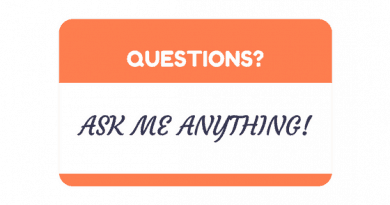 ← What is the fear of public speaking?